Scattered Thoughts cross my mind and need a place to nestle until they are ready to blossom into greater works or be relegated to the back burner for eternity. Recipes, travel and adventure, and books that inspire me and make me think, and other things I feel the desire to share. I took a break from decluttering while we were on our cruise and this last week as I was trying to get caught up on the laundry from the trip and was subbing all week. I also took a break from technology while we were traveling as well and as always I enjoyed that. I am thinking I will limit my online time this summer to only an hour or so a day. I can live without my phone and computer and spend my downtime reading rather than online. This weekend I have just taken some time to relax as I am worn out. I think this next week I will try to spend 20-30 minutes a night working on decluttering after school. I have a pile of books to go through as well as a pile of magazines and some odds and ends in boxes in the living room that I need to decide if I want to keep or not and if I keep them where I am going to put them. I want to finish the living room before I leave on my trip with my dear friend from high school. I am working out a plan for decluttering this summer while we are also doing some work on the house. We are planning to strip the popcorn ceiling in the living room, kitchen, and hallways. I would also like to do my sewing room and Tom's room. He has all kinds of things in that room so I am not sure what to call it. I would love to strip out the carpet upstairs this summer as well, but that may have to wait until next year. I will be leaving with my son Bryce in early August to drive down to Illinois where he will be attending graduate school. 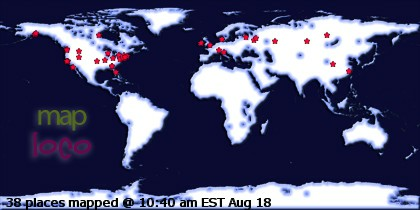 I plan to take a little trip and visit some friends and relatives while down there before returning home in September. Here is a story of one of my previous decluttering projects for your enjoyment. Last summer, before I had even heard of the Uncluttered course, I took my sewing room apart and moved everything out except my fabric shelves while my husband was out of town for two weeks. Then I went through all my fabric and rearranged it by color and pulled out what I would never use or thought was ugly to gift to a friend for her guild's charity quilts. I went through everything that had been in the room except three boxes that I need to pull and go through when I am done with the rest of the house. I had five or six 13 gallon bags of fabric to gift, three bags of scraps which I sent to other quilters for the cost of postage, a couple of bags of things to donate, and about four 13 gallon bags of trash. I organized all of my patterns into binders by kind, and have my works in progress organized. I am now working slowly on completing projects and have a rule. I must complete three things or move them forward to a completed top before I can start a new project, and I need to bind two quilts a month as I have 37 quilts that are waiting to be bound. To be fair I got way behind about three or four years ago when I fell and broke my wrist and tore ligaments, so was unable to do any hand stitching for about four months and then only or short periods of time for a few months after that. Then I was also traveling back and forth to Tennessee a lot to care for my mom and step-father. I was also subbing full time when I was home, and then spent a summer from hell in TN and lost my mother so ignored my quilts for a few months. I am working hard at getting back on track and I send my larger quilts out to be quilted so some times they get done faster than I can hand bind. I still have my scrapbooking and cardmaking things to go through in the family room, but am thinking I will wait on that until May, as I am subbing the next few weeks and then will be gone for two weeks. I think I will just focus on finishing the living room and maybe my bedroom until I leave. I spent time the last few days working on the shelving unit in the kitchen. I cleared out a ton of paper trash and other things. I have a bunch of stuff to recycle or donate. I also rearranged and moved some things off the kitchen counter and found new homes for a few things. I went through my knit jackets and dress jackets and have several in the to be donated pile, which opened up some space on that hanging rack. I kept a few that might still end up being donated. I also pulled out and organized my pants and long sleeve tops. I need to try on my jeans and leggings and see which ones are keepers and which ones are going away. I feel that I am making good progress, slowly. This week I am stepping back as I need to pack for an upcoming short trip and get some other things done, plus I am subbing for a couple of days. I am almost done reading The More of Less by Joshua Becker, which is an excellent book. I have learned a lot from the book and from the Uncluttered course. I have another of his books, The Minimalist Home, waiting in the wings to start when I finish this one. I still have a long way to go on the decluttering, but I have made quite a bit of progress and am continuing to work on it slowly. I need to send a bunch of stuff to Goodwill that is ready to go, and I am sure I will have several more loads as I continue to clear things out that we do not need or use. I am finding it to be rather freeing to clear things out of the house. 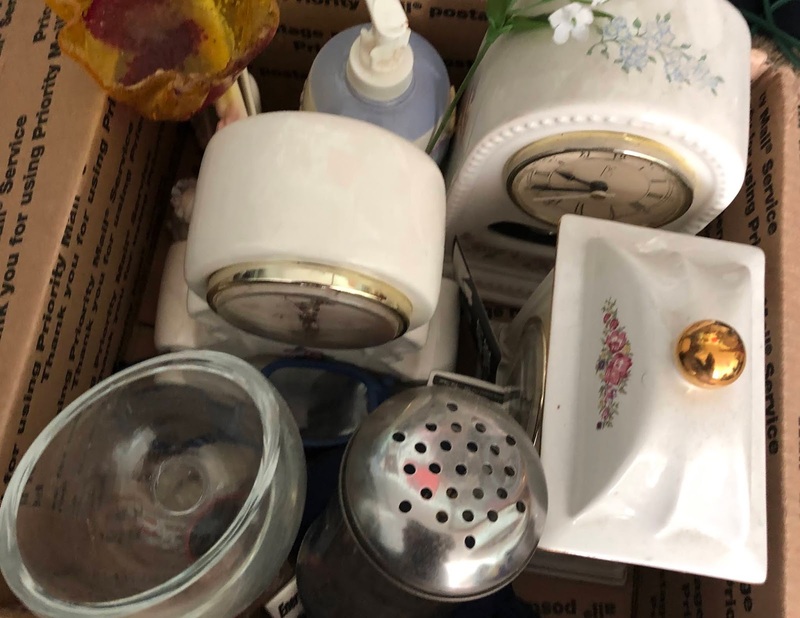 When I am done with this first round of decluttering I plan to do a second round through all the rooms and I am sure I will find more to send out the door as I see more that we do not need or use. The last thing I plan to tackle is my books as I know that will be one of the hardest things for me to part with. I love to read and I have reread some novels multiple times. There are many that I love and others that I use as references when writing and others I have for sentimental reasons that belonged to my grandmother. I am trying now to send some out the door as I finish reading them, but some are hard to let go of because I really enjoyed them. I am off to bed after a relaxing evening sewing once I finished my decluttering project for today. Tomorrow I may try on my leggings and jeans, but they may wait a day or two before I make any decisions related to where they will end up. Wishing you all a wonderful week. If you are thinking of minimizing or decluttering check out Joshua Becker's blog, Becoming Minimalist or sign up for his Uncluttered course. He has tons of information to help you declutter. Uncluttered - More things I have decided to clear from my home. Last week we tackled clothing! This week it is the kitchen. I subbed fulltime the week before last which slowed down my progress and then thought I would use the weekend to get a lot done but woke up sick and did not get much done other than a few drawers. This last week, I was still sick so did not get much done. I have uncluttered my clothes several times in the past but I also know that I have a lot of things I never wear. I have done the flip the hangers and if not worn in six months or a year it goes out the door, and I lost weight, so now I am clearing more clothes, and the why did I keep this I never wear it clearing of clothes. I still have clothes I never wear and it is time to clear more and send them out the door. When I was working on the bedroom I did clear a drawer of old nightgowns and pajamas that I never wear and those darn socks that lost their mates, but I still have more things I can clear that I never wear. Even though I was sick I did go through several drawers and clear things, and I have some clothes in a pile that I need to try on and decided if I want to keep them or pass them on. I still have a bunch of scarves to go through on the second pass and a couple of more drawers as well as my closet in the other room and my jackets and dresses in the bonus room, which need to be weeded down. I do not wear the dresses very often so know that several of them can go away. The biggest thing will be going through my skorts that are hanging on the doors to the family room and office. I have a bunch of them, but I wear most of them, often. I do have some that can go and will try them all on when I get to them. This week due to not being 100% and needing help with regard to reaching some things I did not get as far as I would have liked. I did go through a pile of cookbooks that were above one of the cabinets and most of them are in the donation pile. I am a vegetarian and do not cook out of a cookbook very often except for when making cookies and such so am sending most of the books full of meat recipes out the door. There are a couple of holiday ones that I am keeping as I like recipes in them and a few that are special ones like The Double Musky Inn Cookbook and my The Little House Cookbook. I am also keeping a couple of kids cookbooks that I like for that day in the future when I hope to have grandkids as my boys liked making recipes from those two books. I think I have about 60 books going out the door and I have others on another shelf that I already reduced last year, but will do a second round of review on. There is a ton of stuff above the cabinets that I need my husband to pull down for me to go through as I cannot reach it or do not feel safe trying to pull down. I can tell by looking at a lot of it that it needs to go out the door. have already reduced the Tupperware cabinet a couple of times and will go through it again as I know more of it can go away also. I am slowly replacing the majority of my plastics with glass for storage and lunches. The one thing I will keep for sure is the two cup round Glad containers that hubby uses for his yogurt each day. Most of what is on my counters will stay as it is things we use every day or darn near like the toaster oven, microwave, Vita-Mix, Expresso Machine, and basket for fruit. The one thing I want to move off the counter once I clear the shelving unit next to the counter is the Seal-a-Meal. It does not get used daily, but I certainly use it when I am packing for traveling. I rarely use the oven anymore with just the two of use so do most of my baking in the toaster oven. I have one cupboard that is hidden that I need to go through though most of it will probably stay there as it is my Noritake china. I do not use it very often but it is special as my mother helped me select it and my father bought it for me when he was stationed overseas. I am thinking I may pull it out and use more of it every day. I have not checked that cupboard since the earthquake in November as am a little afraid to look in there to see if the china or the crystal glasses that came from Ireland are okay. Today I have decided to try on clothes and to go through a couple of drawers in the kitchen and see what I can delete from them. I know my spice cupboards are good as I went through them a few months ago and cleared out the old stuff and organized the new as we kept buying spices we already had. Next week will be a new adventure in uncluttering as I believe it is the children's areas and since I do not have children at home I will focus on the family room and office. I also plan to clear the upstairs linen closet/pantry closet, as the pantry cabinet is not too bad since I go through it at least once if not twice a year, though there are a couple shelves in it that also need to be gone through. I keep finding things that should not be in the places they are and moving them into my husband's room (I have a sewing room and he has a room where he keeps all his art stuff and God knows what) so he can find them a home. In fact, at the moment I am looking at the stud finder that is sitting on my bookshelf in the living room. I have two boxes of books and a book of odds and ends that need to be moved to the car to be delivered somewhere besides in my house. I will have to get after my hubby to move them out to the garage or the car until he can take them somewhere or I can arrange a pickup. The cookbooks can go to the used bookstore if they will take them or donated somewhere. Last week I worked in the living room. I made progress and though I still have more to do I am happy with what I was able to accomplish. I was able to clear out an entire section and move things to other rooms that needed to be moved and to bag up a bunch of paper for recycle and things for the trash and to donate. This past week I worked in the bedroom and cleared out a drawer full of old nightgowns and pajamas that I never wear. I also went through a bunch of socks and deleted those I do not wear and those that the dryer ate their mates long ago. Why I kept them I am not sure, maybe I was thinking their mates would find their way home from wherever they had wandered off to. I went through a ton of little catch-alls in one corner of my bedroom and discovered that I should own stock in several ink pen companies. I even have refills for pens I do not have unless they are hiding in another room. I am setting them aside until I can check in the family room and office, as there are probably more pens in those rooms and I can see if the refills work for them, if not out the door they go. I am only keeping the pens that I like and their refills. I am very pen picky when it comes to writing in my journals and have developed a liking for certain pens over the years. Many of these others were ones I was trying out at different times and they are all going Good-Bye! I will deliver them to the office of the school where I do most of my subbing as I am sure they can put them to good use or share them with the teachers. I know I went through a ton of pens in my many years of teaching full-time. As a retired teacher, I do not use them as often since my primary writing is letters and in my journals. I prefer fun colors like pink, teal, and purple for my journals, so only need to keep a few blue and black ink pens for those occasional official documents I have to complete. Last year I started reading a book on Ikigai and it really interested me. Ikigai is your reason for being, your passion. I have been thinking a lot about the idea of my reason for being and the concept of passion and what is my passion. I decided that this year I want to focus on this, as I am very interested in my passion and discovering what my reason for being is. I also still plan to focus on Lagom from last year which is balance everything in moderation. That concept works pretty well for me last year, except in terms of doing a long term sub job and all the English Language Learner's Testing and foreign language testing. This year I am once again doing the testing, but I am not trying to teach at the same time. That was way too much and threw me totally out of balance. I want to focus on what my reason for being or passion is and figure out what it really is. At one point in time I would have said it was being a mother, but with my children grown and off on their own, I am not as focused on that as it should be. I am looking forward to someday being a grandmother, but that is not in my control and I will enjoy it when the time comes. I loved teaching for many years, but at starting to think that I am about done with subbing and ready to move on to other things, but what those things are is still up in the air. I love my quilting and sewing, but is that really my passion, or is it more my art journaling, or reading, or maybe it is writing and I should focus more on that and try to get published in a magazine. This year I am going to focus on finding my reason for being, my Ikigai. Things I learned in this weeks lesson on decluttering. I like the idea of looking at things in terms of how many hours I worked. A yard of fabric is equal to roughly a half hour of work before taxes and such. A massage is a half-days pay with the military discount since my insurance will not cover it. It makes much more sense than looking at dollars spent to look at it in terms of time. Minimalism equals simplicity is also a good way to look at things, and reduces stress, which means better health. I would rather spend my time quilting and reading than dealing with stuff and bills. It took years to accumulate all this stuff and it will take time to go through it all and reduce or simplify. My motivations are that I desire to own less because I want less stress. I want to focus on my quilting and creative projects, peace, calm, family, travel, and my relationship with God. I believe it is possible to simplify, but will take time and focus to achieve it. I am ready to move on to the next step and focus on reducing clutter. I decided that one of my goals this year was to unclutter and the earthquake last November was one of the things that helped to spark that decision. I have been working on this off and on for several years, randomly, but this year I really mean to stick to it and to assist with that goal I signed up for an online class called Uncluttered. They hold the class about three times a year and it lasts for about twelve weeks. I have read about the Art of Swedish Death Cleaning or Hygge, and Marie Kondo's Magic Art of Tidying Up along with multiple other books related to decluttering and that gets me motivated for a week or two, but I don't seem to stick with it. I have gone through my clothes, and through my spices, and the pantry, but then I seem to fizzle out. I signed up for this class along with an online quilting buddy so that we can encourage each other to shed or purge things we do not need. I have done some since the earthquake as I had to clear off and move some shelves to clean up broken glass and for Tom to repair the seam that split in the corner from the jolting of the earthquake. In starting to put things back on the shelves I have been cleaning and clearing out books and such that we do not need or do not want. It is still ongoing progress as I have also been subbing and we were gone for two weeks in December, plus it took Tom a while to finish the repair. We are also going to pull everything down and paint the living room this summer, so I will probably get rid of more at that time. The first assignment was to answer three questions related to your goal. I have been doing some thinking about my answers to the questions and I believe I have finally come up with my answers to declare my why. The questions ask you to think about what benefits you, what you look forward to, and what kind of example you want to set for others. Lastly, you need to state why you want to own less. I am feeling overwhelmed by all the stuff in the house and feel that by clearing some of it out I will be less stressed and more at peace. It will also mean less stuff is left here when I am gone for others to go through. I want less stress and anxiety, fewer distractions and less chaos. I want to focus on my quilting and other creative projects and not on stuff. I also want to focus on travel, and family, and my relationship with God. I want more time, peace, contentment, and comfort. I want to be able to create, relax, and feel joy in my space. I want to set an example for others that less is more and show that we often get weighted down by all our stuff. If we have less we have more freedom in life and can focus our time on other things that are more important to us than on stuff. I want to feel calm and at peace in my home. I desire to own less because I want to feel free from the stress that occurs when I am overwhelmed by all the things in our home so I can focus on peace, calm, my creative projects, travel, family and my relationship with God. The next class will be published on Monday, January 21, 2019, and I am looking forward to the information shared and the challenge for the week. No writings or pictures posted on this page may be used without the express permission of the author/photographer of this page. All writings and photographs are the express property of the author of this page and are copyrighted by the author/photographer. Definition: Take without referencing from someone else's writing or speech; of intellectual property.